Asia as we know it today is the product of a wide range of polity expansions over time. Recognising the territorial expansions of Asian polities large and small through the last several millennia helps rectify the fallacy, long-held and deeply entrenched, that Asian polities have been interested only in the control of populations, not in expanding their command of territory. In countering this misapprehension, this book suggests that Asian polities have indeed been concerned with territorial control and expansion over time, whether for political or strategic advantage, trade purposes, defence needs, agricultural expansion or increased income through taxation. The book explores the historical experiences of a set of polity expansions within Asia, specifically in East and Southeast Asia, and, by examining the motivations, mechanisms, processes, validations and limitations of these Asian territorial expansions, reveals the diverse avenues by which Asian polities have grown. 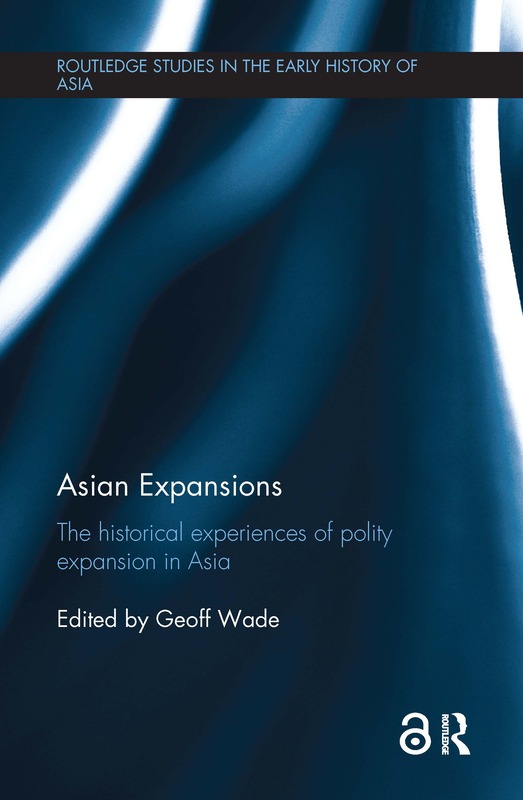 The chapters draw on these historical examples to highlight the connections between Asian polity expansion and centralised political structures, and this aids in a broader and more comprehensive understanding of Asian political practice, both past and present. Through these chapter studies and the integrative introduction, the book interrogates key concepts such as imperialism and colonialism, and the applicability and relevance of such terminology in Asian contexts, both historical and contemporary. Comparisons and contrasts with European historical expansions are also suggested. This book will be welcomed by students and scholars of Asian history, as well as by those with an interest in Asian interactions, international relations, polity expansion, Asia--Europe historical comparisons and globalisation.